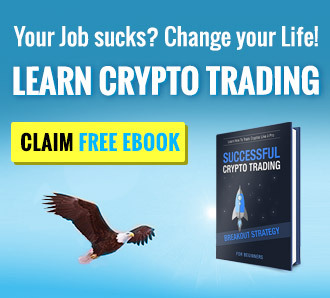 We know how hard it is to look for the perfect exchange website to trade BTC and altcoins at. 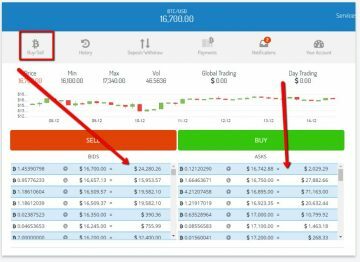 This is why we have taken a note of this and try to provide you guys with the best resource for all the possible websites you are able to trade with. Today, we will be looking into Bitex.la, an exchange website that is focused on the Latin America region. The website is professionally designed and we cannot wait to give it a review! We will be taking a tour of the website, know what their features are, create an account with them, and show you guys what their trading platform looks like without even logging in yourself! Without further delay, let’s talk about that! A good review should and always have a little bit of background introduction to get to know the website and company better. 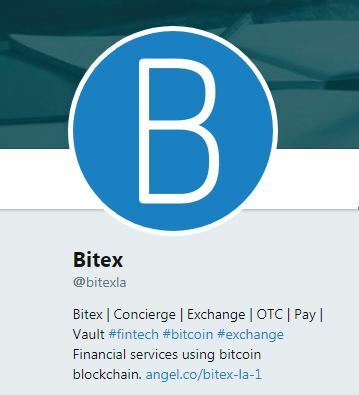 Bitex.la was launched in May 2017 and is the first regional Bitcoin exchange that connects all Latin America countries to one website. Their CEO is Eduardo del Pino and is Based in Argentina, the website has been operating really well these few months since it was released and continues to provide services to the region they originally planned. Currently, they do not accept users from the United States or the Netherlands. To create an account with them, we, of course, need to head on to their website Bitex.la and create an account. Compared to other exchange websites today, the requirements are pretty much close to nothing. All you need to have in order to create an account is an active email and the password for the new account that is being created. As mentioned earlier, they do not accept users from the United States and the Netherlands as this is checked before you are able to create an account with them. Moving forward, we were shocked to see that they require personal information from you to finish the verification process. There is information here that you need to provide like street address, a government-issued ID with the ID number and pictures to be uploaded to them. We would like to warn you guys in advance if you want to continue with creating an account with them, if this makes you uncomfortable then we strongly advise not to proceed. The approval waiting time is not particular, this means that you might be waiting for an approval to happen between 5 minutes up to 5 business days! This depends on the weight of information you forwarded to them. On the account creation tab, you will be asked a few times to have your Two-Factor Authentication activated and this will also be flashed on the account page to continuously remind you about your account not being protected. The website designed, as mentioned earlier in this review is awesome! It’s clean and there is no room for fancy useless numbers and tabs. They also have an exchange calculator that you are able to use here. After you have created an account with Bitex.la or after they have approved your application you will then have full access to their trading features. To start, click on the BUY button. Please be advised that there are two types of orders, there are immediate orders and price limit. The default option that the website is set into is the limit price option. This can be easily removed by pressing the button on the order placement tab. To purchase an order, it’s actually really simple and straightforward. You just need to provide the amount you are willing to spend for BTC (numbers are on USD) and the maximum price you want to pay per BTC. On the order tab, the best price for BTC is always posted in real time to help you decide whether the price you are looking at is fair enough to continue with. Of course, the amount to spend tab shows the maximum price you need to pay for the BTC you are about to place an order with. In a selling order, it’s basically the same with the purchase order but instead you getting BTC, you get USD for the BTC you are selling. Please keep in mind that Bitex.la charges 0.5% commission of every BTC you purchase in total. All successful orders or transactions will be shown under the “Outstanding Orders” tab. To cancel an order, just click on the garbage can logo and this will cancel the order right away. Bitex.la charges a transaction fee of 0.5% from the whole exchange value. For example, if you are trading $100 worth of BTC, then they would charge you 0.5% of $100 which is $0.5 USD per transaction. What’s great about this website is that they accept both BTC and Wire Transfer services. As we all know, it is really hard to find a website today that accepts both famous payment methods which are crypto and fiat. To deposit BTC, all you need to do is click on the “Deposit” button and a wallet address from your account will be provided. After three confirmations, the balance is credited to your account. It would take approximately 30 minutes for the BTC balance to reflect on your end. Withdrawal of BTC is free of charge. To deposit through wire transfer, all you need to do is go to the deposit tab and choose “Deposit via international bank transfer” and download the instructions from the website regarding their bank account. After this has been done, all you need to do is enter the amount you want to transfer (USD) and click on send. Please be advised that all international transfers are made from Monday to Friday 9:00 AM to 5:00 PM (GMT-3). Once the payment has been received, the balance will be credited within 24 hours. For wire transfers, the website charges $10.00 per deposit and withdrawal. All-in-all, the website is great since they have all the needs of a trader in place. The only thing that bugged us with Bitex.la aside from the fact that they have a really hard website to understand due to translation issues, they have a really long account verification process. If you guys are sensitive to personal information flying through the internet, then as mentioned before, please stay away. If that’s fine with you, and you are happy with how their exchange website works and you’re from the region, then that’s great! Overall, it was just a mediocre experience for us, nothing special.